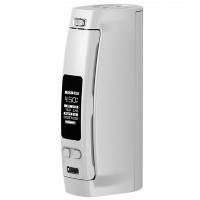 WISMEC - Presa TC100W Silver is the ultimate electronic cigarette of the Presa series, super ergonomic with 100 watts maximum power and temperature control. 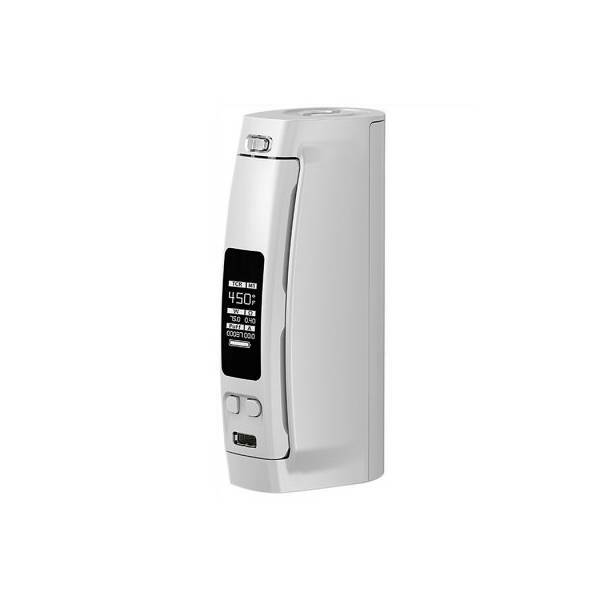 WISMEC - Presa TC100W Silver is the ultimate electronic cigarette, super ergonomic with 100 watts maximum power and temperature control. Wismec TC100W in addition to upgradeable firmware has a new user interface with 0.96-inch OLED display, ideal to check all useful info. The compact TC100W is practical to use, extremely handy and equipped with a magnetic lid for a fast battery change. Wismec TC100W comes with an adapter to choose between 26650mAh or 18650mAh lithium battery, the latter being used for a maximum power of 75W. The micro USB port in addition to allowing you to recharge your battery allows you to upgrade your software.